The band is led by Cole Burgess. 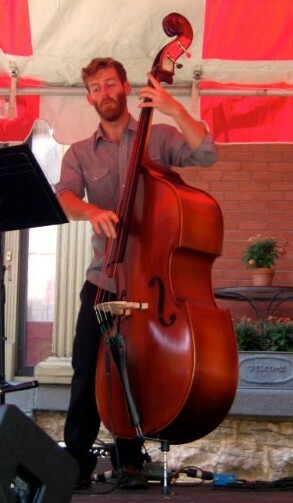 Cole Burgess, previously one of the lead soloists for the band took over the leadership role on July 1, 2014. Known for his powerful, yet smooth tenor sound, thoughtful improvisations, and his always present sense of humor, Cole is certainly a guiding force in the band's new direction. Vocals - Vocals are handled by the talented Liz Johnson and Eric Stein with arrangements skillfully crafted by Mr. Adair. Eric Stein is the groups male vocalist. During gigs fans of The Establishment frequently request a Frank Sinatra chart and Eric's voice immediately brings back all of the great memories. Listen to Eric's both powerful and extremely smooth voice by clicking on one of the links below. Reeds - Click here to listen to a clip of the sax section on Sammy Nestico's Queen Bee. 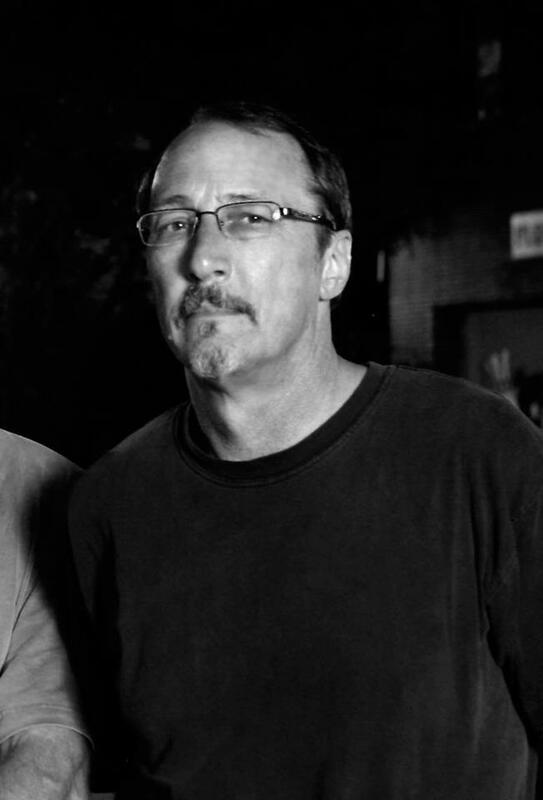 Jeff Byrd - Jeff joined The Establishment in 2012 and is an active member of Soul Incision. He has performed with a variety of musical groups throughout the years, on various musical instruments including: saxophone, flute, clarinet, bassoon, tuba, banjo, piano, and guitar. Of particular note, Jeff has been a guest performer with Denver and the Mile High Orchestra, Little Anthony and the Imperials, and The Paul Ross Orchestra. 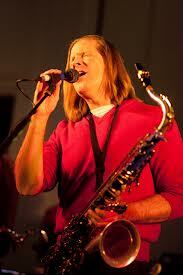 He also played with Rory Partin Band, formally known as Bo Thorpe and his Orchestra. In the summer of 1988, he moved from the Cincinnati area to Nashville, TN to perform at the Opryland Theme Park. Later that year, he put his college degree to work as a computer programmer for Vanderbilt University Medical Center. Jeff’s Soul Incision band-mates like to say that Jeff sets the musical standard that has lifted the group to its current fame and fortune. 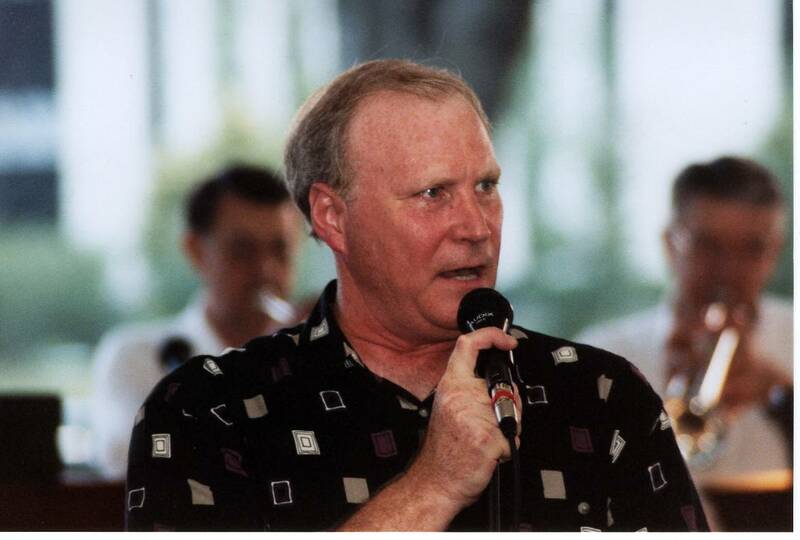 Ed Grooms, started playing with The Establishment in 1993. 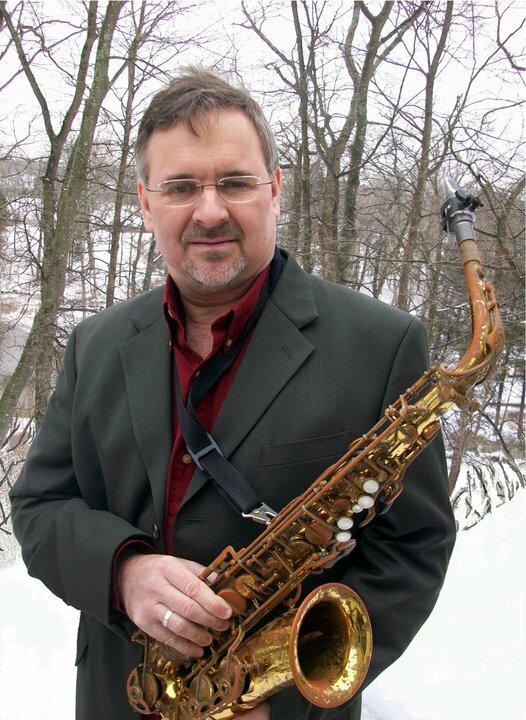 Ed studied saxophone under Dr. John Duke while attending MTSU and is a regular performer with other area bands such as The Lynn Beal Big Band, the Nashville Wind Ensemble, the Music City Swing and the South Jackson Street Band. Ed has also had the privilege to perform with the Nashville Symphony and the Murfreesboro Symphony Orchestra. Stuart Naylor. Click here to listen to Stu solo on Sammy Nestico's Broadway. Alan Suska rejoined The Establishment in July 2010. 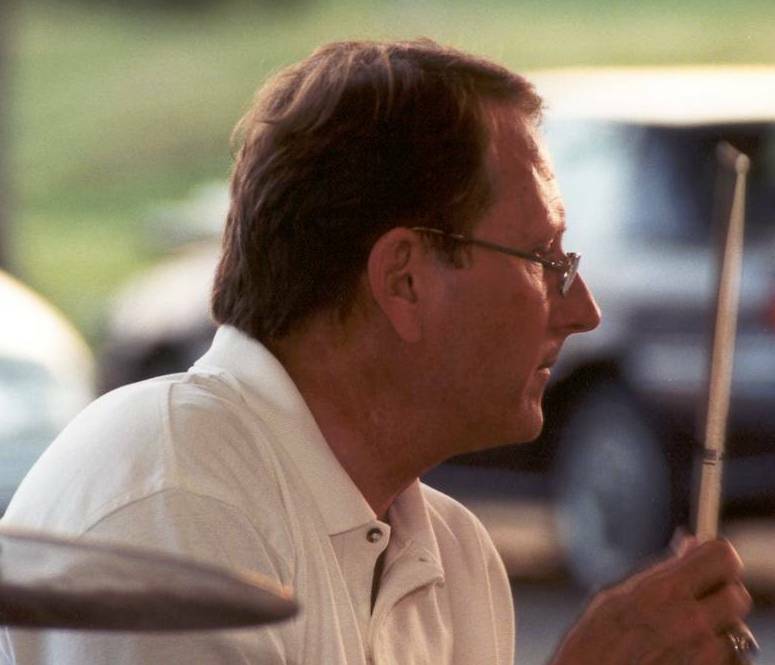 Alan is the previous Music Director at Pope John Paul II High School in Hendersonville, TN and has worked in the past as a musician at Opryland Productions. Alan has both a BSME and MM from Duquesne University. Scott Steward joined The Establishment on June 30, 2014. Scott, a 2012 Dove Award winner who also recorded on a 2009 Grammy Nominated Recording Project - is a trumpet player who has made quite a mark as a musician in L.A. and Nashville. He has played lead trumpet for the FOX Reality Show "Next Great American Band" finalist "Denver & The Mile High Orchestra" for many years as well as worked on jobs with the Paul Cacia Jazz Orchestra, Louie Bellson, Bill Watrous, Natalie Grant, Casting Crowns, Jimmy Smith, Milt Bernhart, Pete Rugolo, Bobby Shew and many others. 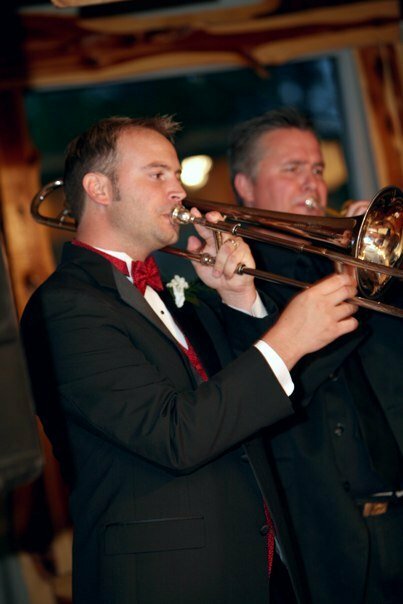 In 2013 Scott performed at Carnegie Hall as principal trumpet with the Mannhattan Pops Orchestra as well as an artist appearance with Denver & The Mile High Orchestra on the same night. 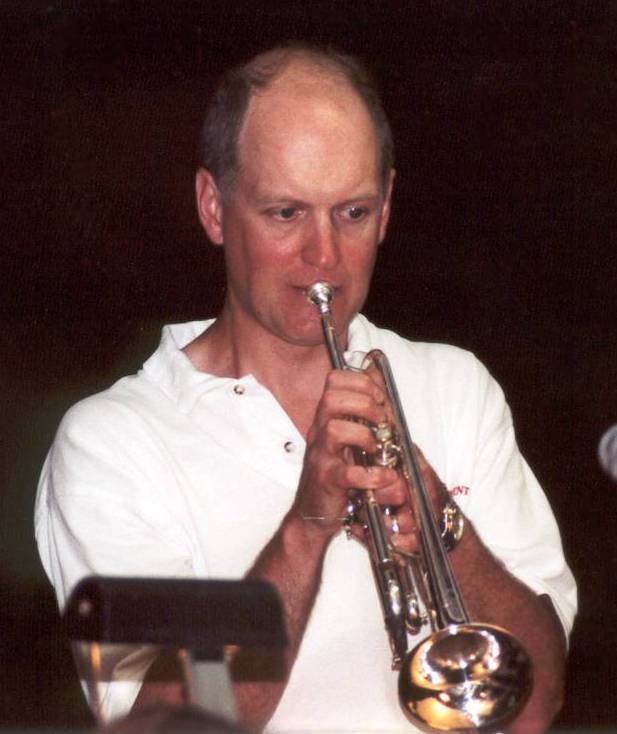 Scott is also the principal trumpet player for the 65 piece Brentwood Baptist Orchestra from Brentwood Tennessee and the primary trumpet player for the Nashville Corporate Party Band "Pink Cadillac". Formerly, Scott was also a member of the Anaheim Cast of the popular Broadway hit show "Blast" and also was a member of "Disneyland's Magic Kingdom Korps" in the 90s. 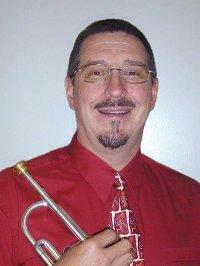 Dr. Greg Weaver started playing trumpet in The Establishment in 1996 and serves as the organizations President. He is a radiologist and grows chestnuts on his farm near Nashville. Joe Awad is a Vanderbilt MD specializing in GI and Liver disease but whose passion is big band jazz. Leaving Ohio to attend Vandy in 1977, he played lead bone in the VU/Peabody Jazz Ensemble. During the 1980's Joe played lead bone and later led the Washington University Medical School big band the "Hot Docs". Returning to Nashville in 1989 Joe spent most of his time career building until the mid-2000's when he decided to become an "every day" player again. 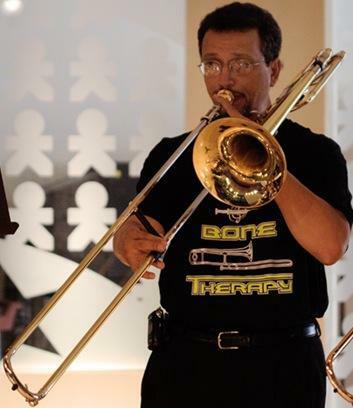 He started the community trombone choir Bone Therapy (www.bonetherapy.org). 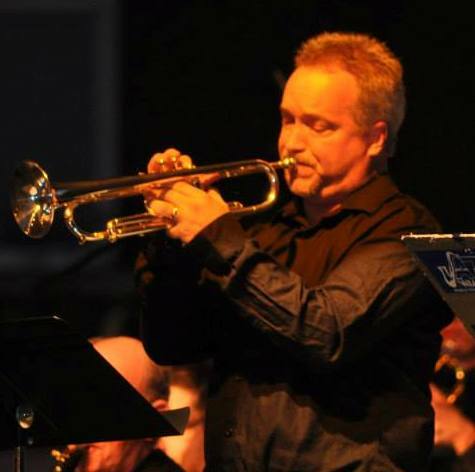 In addition to playing in "The Establishment", he is lead trombonist in the "Moonlighters" big band and will co-host the 40th anniversary International Trombone Festival at VU's Blair School of Music June 2011. 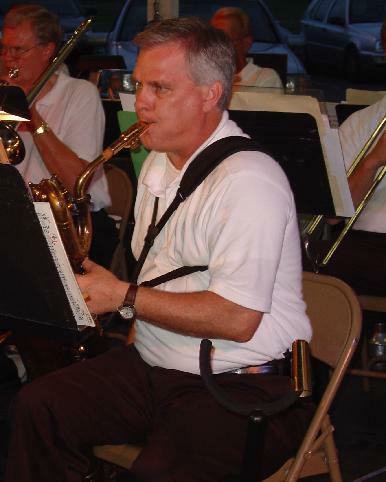 Greg Cox is another one of the bands lead soloists. His solid trombone lead, creative improvisation and smiling spirit sets an example for others to follow. 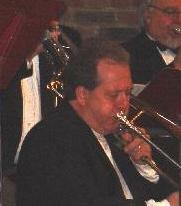 Jon Lawson, trombonist, reunited with the band in 2003. 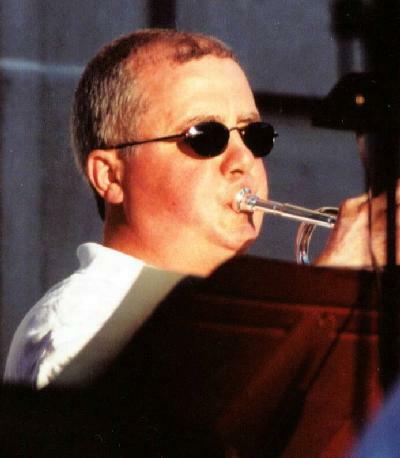 Jon had previously been the lead trombonist with "The Establishment" from 1988-1995. 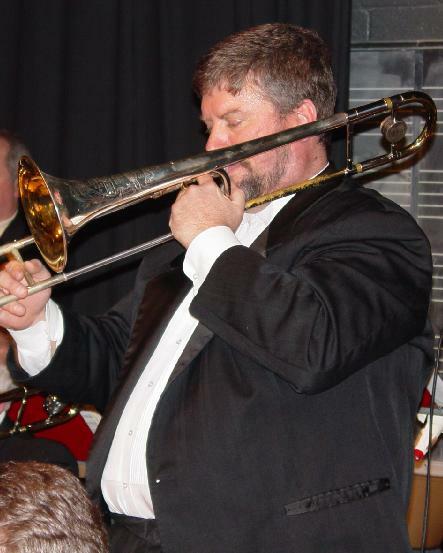 After receiving a couple of degrees in trombone performance, Jon came to Nashville in 1985 to play in the house band aboard the General Jackson Showboat. Since 1987, he has been a financial advisor with Northwestern Mutual. (www.jon-lawson.com). Jon has been a practicing CFP certificant since 2001 and primarily works in the areas of personal financial planning and investments. He is married and has one son. Jon has had the privilege to perform with Wynton Marsalis, Bobby Shew, Clark Terry, McCoy Tyner, Danny Davis, Lou Rawls and Sammy Nestico, just to name a few. 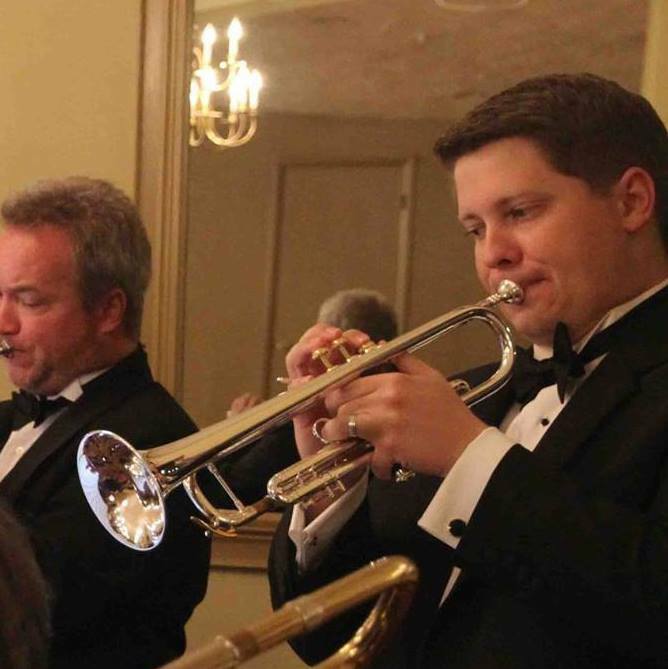 Daniel Thompson, bass trombonist with the Establishment since 2007, started studying classical piano at the age of 4 and later in life learned to play the bass trombone. Daniel spent three years as a choir director for a Methodist church in Hartsville, TN, and then another year as the music minister for Immanuel Church of the Nazarene in Nashville. 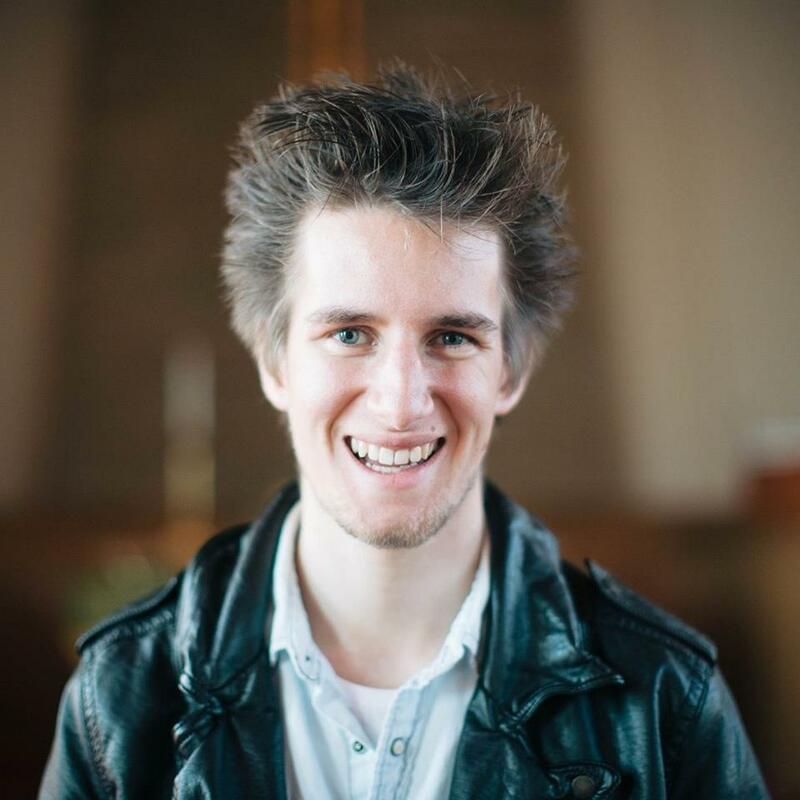 He returned to San Diego and completed his bachelor's degree in Church Music at Point Loma Nazarene University and now, with his wife, Tara, lives in Nashville, TN. Check out Daniel's other passion, Southwest of Chicago. Eric Tucker - More info coming soon. Loy Hardcastle has played with greats like Tommy Dorsey, Glenn Miller, Buddy Rich, Count Basie. Unfortunately it was playing along with their records! Loy started playing in a rock and roll band at age 11 in a club in Nashville every Saturday night from 8:00 until 11:00. So it goes from there with various rock bands and big bands and so on. Copyright © 2014 The Establishment. All Rights Reserved.